If you want to know how much water you should drink for health, weight loss, and/or bodybuilding, then you want to read this article. 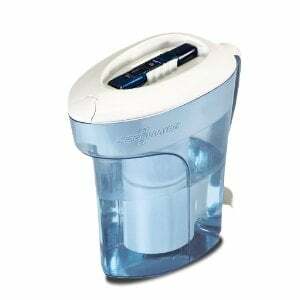 Drinking enough water every day is like flossing. It’s one of those “annoying” little habits that’s hard to embrace but pays big dividends. “Wait…is flossing really that important?” you ask? Research shows that periodontal disease subjects the body to high levels of bacterial exposure, which increases the risk of heart disease. Studies also show a strong association in the elderly between overall dental health and all-cause mortality (death from all causes). Anywho, back to the subject at hand: how much water you should drink. Water intake isn’t associated with all-cause mortality like gum health, but it’s still vitally important for optimizing health and performance. The bottom line is if you’re currently not drinking enough water, you’re going to notice several immediate benefits by increasing intake to optimal levels. In this article, you’re going to learn about those benefits as well as how much water you should be drinking. What Types of Water Should You Drink? 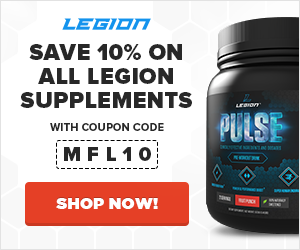 How Much Water Should You Drink for Bodybuilding? Water is the most prevalent molecule in your entire body. It comprises about 60% of your total body weight and every physiological system requires water. Water is a vital part of your body’s detoxification systems. Water is used to digest food and shuttle nutrients into your cells. Water is needed to keep your ears, nose, and throat moist. 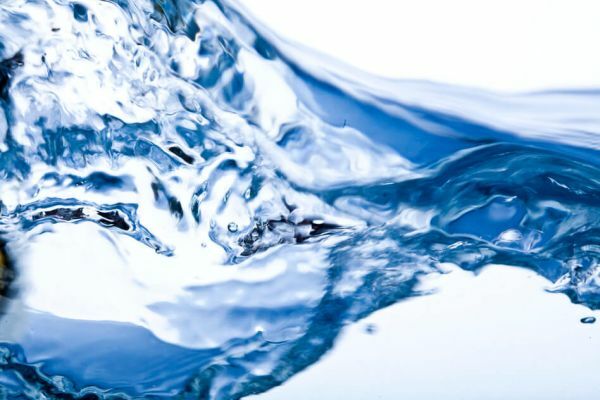 Water keeps our joint cartilage lubricated and supple, which is vital for preserving joint health. Brain cells require a delicate balance of water and other chemicals to function properly. Thus, it’s no surprise that hydration status affects many aspects of our health and physical and mental performance. Dehydration–a condition where water levels in the body are too low due it inadequate intake–can slow you down both mentally and physically, depress your mood, constipate you, and may even increase the risk of heart disease. Dehydration is also tricky because it’s easy to ascribe the symptoms to other things. 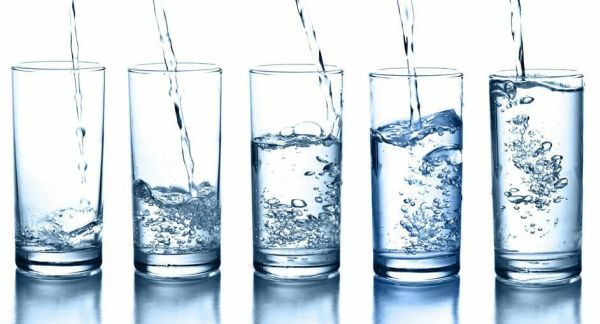 You can go crazy trying to figure out what’s wrong without realizing it all stems from simply not drinking enough water. So, then, how much water should you be drinking exactly? Every day, your body loses water through breathing, sweating, urination, and pooping. To prevent dehydration, you must continually replace what it loses through drinking and eating. Yup, many foods (fruits and vegetables, primarily) contain significant amounts of water. For example, research shows that, in the United States, about 22% of our water intake comes from the food we eat. As you can see, though, we need to rely heavily on water and beverages to meet our body’s water needs. And yes, all beverages count toward your total daily water intake, including coffee and others that contain caffeine (which isn’t a potent diuretic as some people claim). That said, drinking large amounts of caloric beverages like soda and juice is generally a bad idea (and we’ll talk about why soon). So, then, how much water should you be drinking every day? Well, it depends primarily on your weight and how much you sweat. For a baseline, the Institute of Medicine recommends drinking between 3/4 and 1 gallon of water per day for adult men and women. If you’re a regular here at Muscle for Life, you probably do quite a bit of exercise, and this increases the amount of water your body needs. Specifically, you want to replace all water lost through sweating. When we’re talking exercise, the amount of water lost can range anywhere from 3/4 to 2 liters per hour depending on intensity and climate and how much your body generally tends to sweat. The climate you live in affects your body’s water needs as well. I live in Florida and in the summer, you start sweating within 30 seconds of going outside. Within 5 to 10 minutes, you’re probably sweating about as much as you do during exercise. So, if you start with a baseline water intake of about 3/4 to 1 gallon per day, add 1 to 1.5 liters per hour of exercise, plus a bit more for additional sweating, you’ll be good. For me, that’s about 1.5 to 2 gallons per day depending on how much exercise I’m doing that day and the time of year and how much time I’m spending outside. Now that you know how much water you should be drinking, let’s talk about types of water to drink. and various types of poisonous chemicals. Bottled water isn’t just exorbitantly expensive–research has shown that it can be chock full of chemicals too. 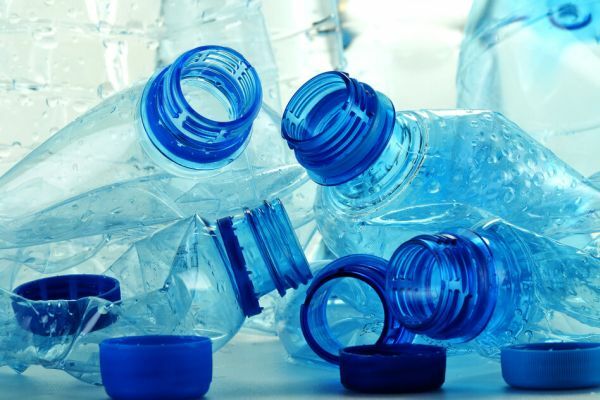 One study examined 18 different bottled waters from 13 different companies and found over 24,000 chemicals present including endocrine disruptors. This is why I recommend (and personally drink) filtered tap water. 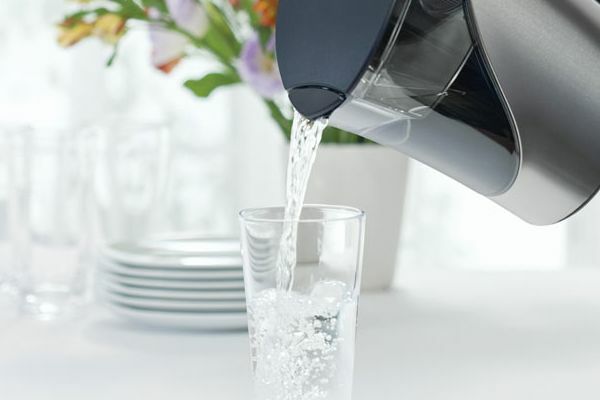 When it comes to water filtration, you have quite a few options…and some are much better than others. Now, I’ve tried quite a few filtered pitchers and have been regularly disappointed both in the taste and PPM readings of the water they produce. The ZeroWater ZP-010 is the first that impressed me. The water tasted extremely clean (neutral) and tested at 0 to 1 PPM. A filter also lasts a solid 80 to 90 gallons, making it quite affordable. 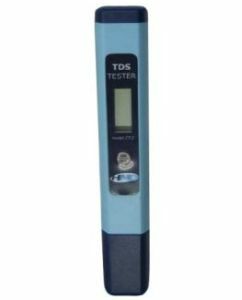 Furthermore, the ZP-010 comes with a TDS (total dissolved solids) meter so you can easily see when it’s time to change the filter. Another great option for water filtration is a reverse osmosis system. This type of water filtration is extremely effective at removing unwanted molecules. A good RO system will produce 0 to 5 PPM water for many months before needing a change of filters. Personally I use this under-sink system from a relatively obscure company called Pure Water Systems. The system is expensive and their website is hideous but the water this thing produces is fantastic. It can take a beating too. I have one at the office that everyone uses (probably about 10 gallons per day) and it went a year without a filter change and was still producing water under 10 PPM. Well, the amount of water you drink isn’t going to make or break your fat loss efforts, but drinking enough can actually help. Research shows that increasing water intake is an effective way of increasing fullness, thus helping you fight off hunger and stick to your diet. You may have heard that increasing your water intake can speed up your metabolism as well. Well, research is conflicting on this point. On one hand, studies suggest that drinking water increases basal metabolic rate (mainly due to the body having to heat it up to its internal temperature. And on the other hand, at least one study has found no such effects. Whether drinking water increases the amount of energy your body burns doesn’t really matter, though. If you get a small metabolic boost, great. If you don’t, there are plenty of other things you can do to speed up fat loss. …but that drinking caloric beverages is generally a bad idea. 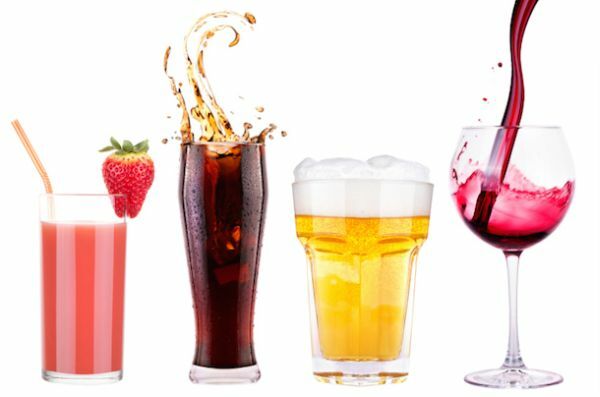 Well, the major problem with drinks that contain calories–ranging from soda to sports and energy drinks to fruit juices–is calorie for calorie, they don’t trigger fullness like food does. This is why research shows a clear association between greater intakes of sugar-sweetened beverages and weight gain, in both adults and children. How important are vitamins and minerals? But few people wonder about how much water they should be drinking. Well, as muscles are about 75% water, it’s no surprise that staying hydrated helps you build muscle and strength faster. And no, that isn’t to say that water is “anabolic” or that the more water you drink, the more muscle you build. Research shows that hydration status significantly affects weightlifting performance. The more dehydrated you are, the lower your strength and muscle endurance are going to be in the gym. And the weaker and more tired you are in your workouts, the less you’ll progress in your weightlifting and hence your strength and physique. Another interesting point worth noting is studies also show that cell hydration status relates to protein synthesis and breakdown rates. Dehydrated cells shrink, which in turn promotes protein breakdown. Hydrated cells swell, which in turn counteracts it. As muscle growth is simply the result of more protein synthesis than breakdown over time, the implications of this are clear. Muscle cells that are kept well hydrated are going to grow faster than ones that aren’t. Make sure you’re drinking enough water every day and you’ll reap the bodybuilding benefits. If you’re currently not drinking enough water, you might be surprised at how beneficial increasing your intake will be. Your mind can get sharper. You can perform better in your workouts. You can build muscle and lose fat faster. So, while getting into the habit of drinking about a gallon of water per day can be hard, it’s well worth the effort. And once you get used to it, it just becomes second nature. What’s your take on how much water you should drink? Have anything else to share? Let me know in the comments below!